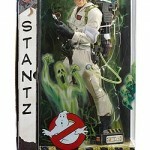 MattyCollector Online has available today from the new Ghostbusters line, 6″ and 12″ Ray Stantz. Descriptions on both figures are below. These figures will go on sale today at 12pm eastern time. 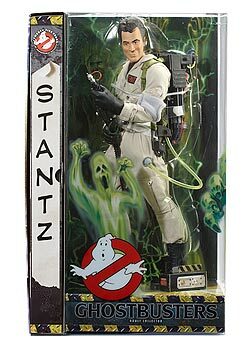 Prepare to kick some paranormal booty with this fully-articulated 12″ Ray Stanz™ figure, representing the heart of the Ghostbusters™ team. Real cloth outfit? Oh, yeah. Goggles and gloves? Got ’em. 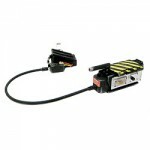 Walkie-talkie? You bet. 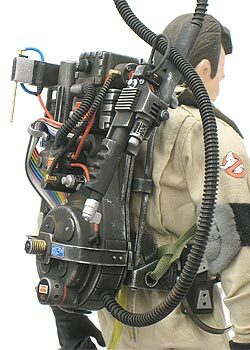 Now just put on his amazingly detailed light-up Ghostbusters™ proton pack, grab the handy ghost trap, and get ready to eliminate annoying ectoplasm! Comes in reusable collector box. Accessories can be stored in the pull out drawer. 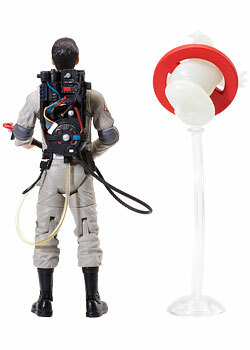 Based on the classic films, this 6″ fully-articulated Ray Stanz™ eradicates ectoplasm with his authentic Ghostbusters™ proton pack. 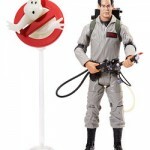 He also includes a special pack-in figure of the Ghostbusters™ logo on a stand, with a glow-in-the-dark ghost that can be removed from the classic red slash. 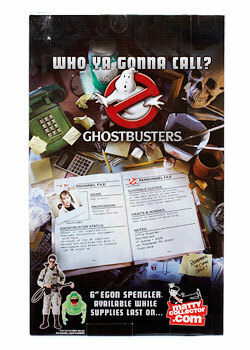 I'm definitely getting the 6" to go with my Egon. Mattel is killing it with this line. 6" for me! Wish they weren't so pricey though. Or at least release more than one at a time so I could combine some shipping. 12" equipment looks sweet but I don't like the figure itself at all -_- I'd bite for $40, $60 is way too much. I bought one 6" Ray. I would have liked to get 12" Ray, but unfortunately it costs way too much for me. I just wish the gear on the 6" was as nice as on the 12. Agreed. 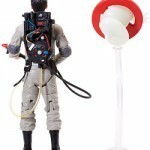 The 6" are really nice but I was pretty tempted to get that 12" just for the proton pack and ghost trap. I decided to get both. To me it was either get this 12" Ray with a slightly strange looking head or never get the chance to have a 12" Ray in my collection. I can live with the slightly funky looking head sculpt. Besides I can always buy one of those other head sculpts if it really bothers me. I'm just stoked to finally have some movie accurate figures that in someway resemble the actors. I got both Rays, and they arrived today! No sign of MOTU Teela yet, but Ray(s) are great! I just got home from work, so I'm starving, but I must open Ray first! Priorities you know. 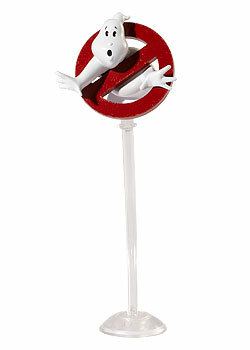 I can't say I'm disappointed (because OMG we have ghostbuster movie toys? 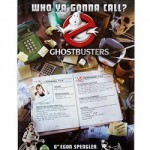 I still can't believe it) but hes not as good as Egon. - His head is def too small, and the likeness isn't as good as Egon's (which wasn't perfect but a bit better than this one). -I know people complained about the rubber guns but it never bothered me and now that they've changed it I'm not a fan. The gun itself being less pliable is fine, but it suffers overall with the stiffer cable. it doesn't sit as nice on the backpack and poses (especially one handed poses, such as drawing the gun) are now fighting against the resistance of the cable, causing the gun to come out of or twist around in his hands. 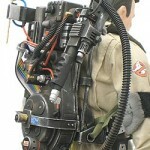 If I had an extra Egon I'd be tempted to try to switch the cable/gun part. 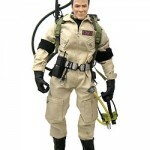 -Don't know if this is just mine or not, but his head doesn't look down like Egon's does. -Still wish we got different torsos. 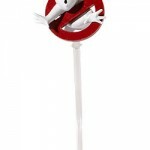 -Also neither Ray nor Egon have the third finger on the shoulder logo's left hand painted. Wish they'd check that out and improve the QC on that. I don't mean to be overly picky, these guys are still great, but while these things wouldn't bother me on a 10-12 dollar toy, these guys are months of excitement and a $30 payment. If only we could get them, you know, at retail stores for retail prices and more than one every two months. 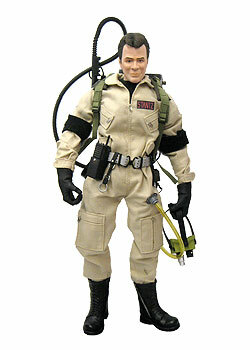 Also, the logo ghost is neat to have, but I'd rather have a actual movie ghost of some kind. 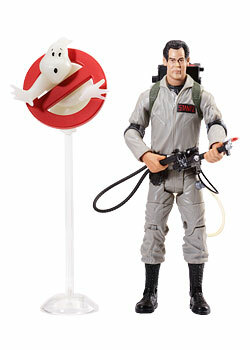 Also the ghost stands are pretty wobbly, Logo and Slimer both take tumbles easily.